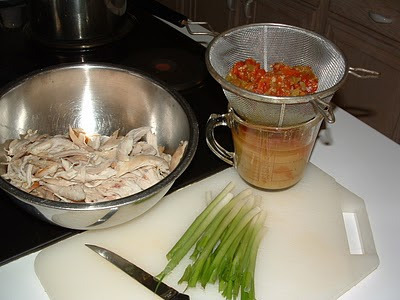 Place chicken in stock pot with enough water to cover, salt and pepper. Bring to a low rolling boil until chicken is cooked through. Cool, de-bone if necessary and cut into bite sized pieces, preferably shredded. 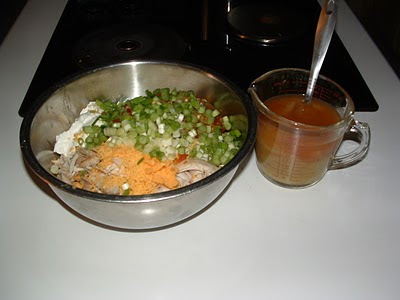 In a large bowl mix together the chicken pieces, Rotel tomatoes, green chiles, 1 cup of the cheese and 1/4 cup of the sour cream. Mix well. 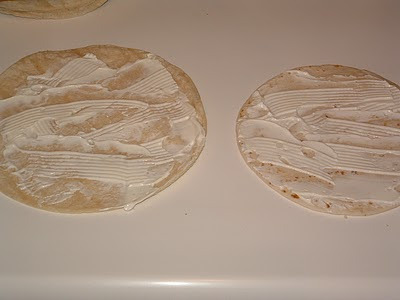 I like to slice off the major portion of the arc of the tortilla so I have a large rectangle to work with. 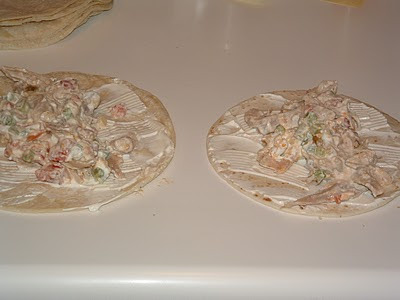 Lightly spread a thin layer of sour cream on each tortilla. 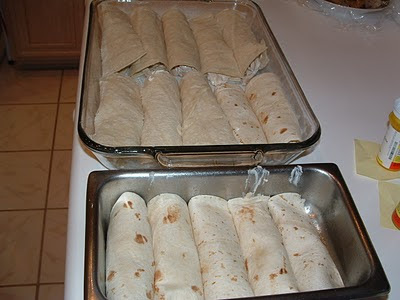 Divide the chicken mixture amongst all the tortillas and roll them securely. 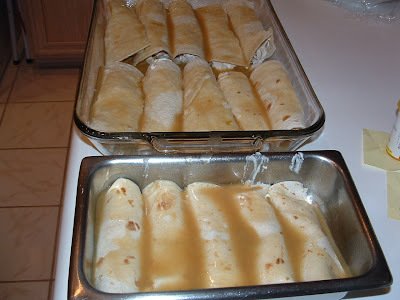 Place each one seam side down, side by side in a lightly sprayed rectangular baking dish. 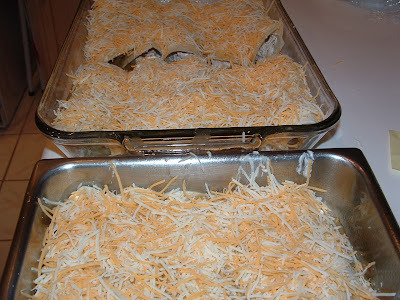 Pour the sauce evenly over enchiladas and top with remaining cheese. Bake foil covered for 30 minutes at 325 degrees. Uncover and bake another 15 minutes until cheese is melted and crisp. Serve with refried beans.